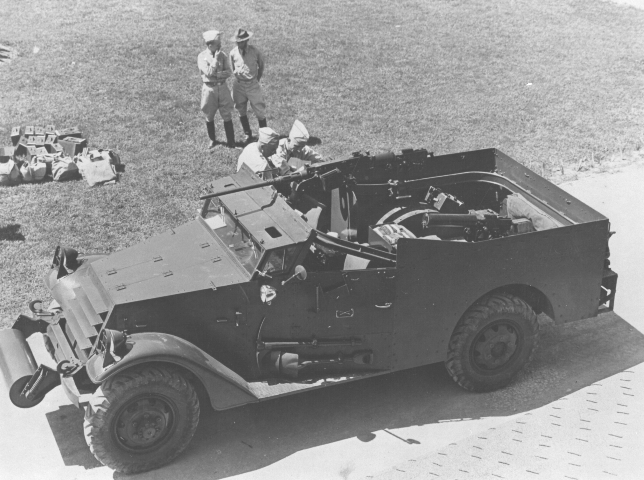 Miscellaneous Info: The "White" Scout car was the successor to the M2A1/M3 Scout car. 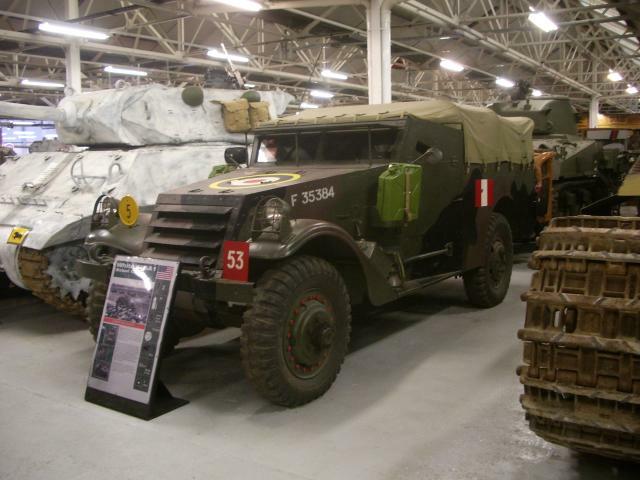 One of the most prolific scout cars produced during WWII (20,000+) it was used by most allied armies during the entire war; and beyond by many other nations. 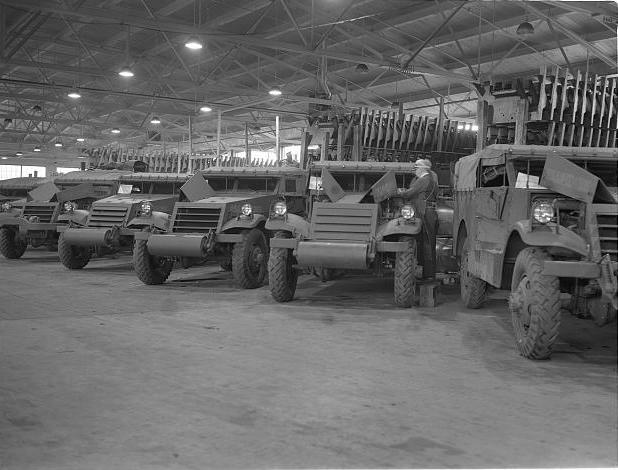 Efforts were made to improve the vehicle throughout the car's production run, most notably to mount diesel engines, provide top cover (M3A1E2) and upgrade the armament (to a 37mm Anti-Tank Gun-M3A1E3). 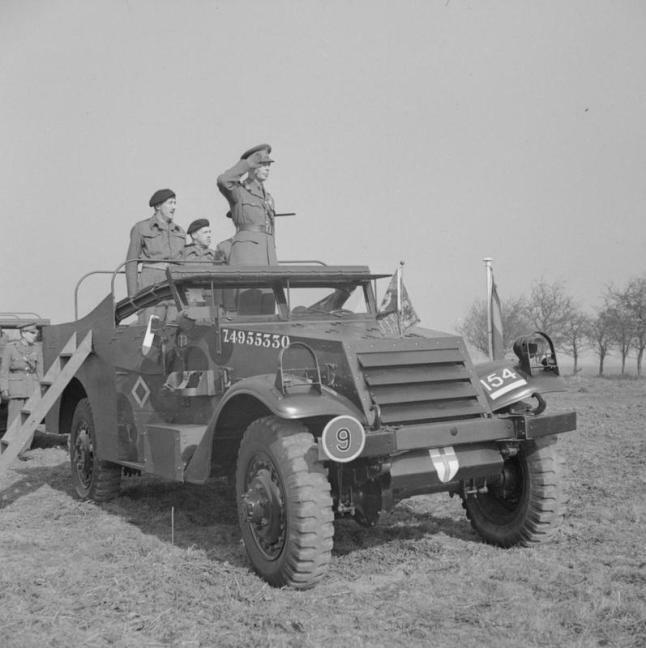 The most successful modification was the fitting of diesel engines and although the performance was promising, only about 100 were produced. 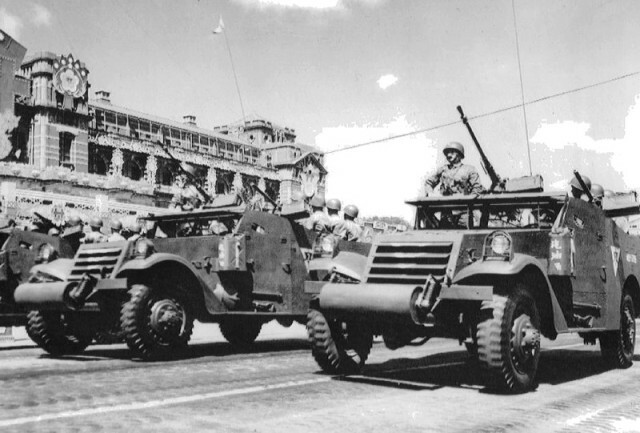 At different times of the scout car's production run, diesel engined vehicles were designated as M3A1E1, M3A2 and M3A1E5 as well as retaining the M3A1 monicker. M3A1 White Scout Car - Early Production Kit (82451) Hobby Boss 1/35 Injection Molded Plastic; New Tooled Kit. Soviet M3A1 White Scout Car - Late Production Kit with M30 122mm Howitzer (84537) Hobby Boss 1/35 Injection Molded Plastic; New Tooled Kit. M3A1 White Scout Car - Late Production Kit (82452) Hobby Boss 1/35 Injection Molded Plastic; New Tooled Kit. M3A1 White Scout Car Model Kit (35363) Tamiya 1/35 Injection Molded Plastic; New Tooled Kit. New Zealand Armour in Europe and Africa Decals (35058) Bison Decals 1/35 Decals with M3A1 Scout Car Marking Option. New Zealand Armour In Italy Decals (35060) Bison Decals 1/35 Decals with M3A1 Scout Car Marking Option. M3A1 Scout Car Sagged Wheel Set (DW30041) DEF Model 1/35 Resin; For the Tamiya Kit. M3A1 White Scout Car Detail Set (36411) Eduard 1/35 Stainless Steel Photo Etch; For Tamiya Kit. 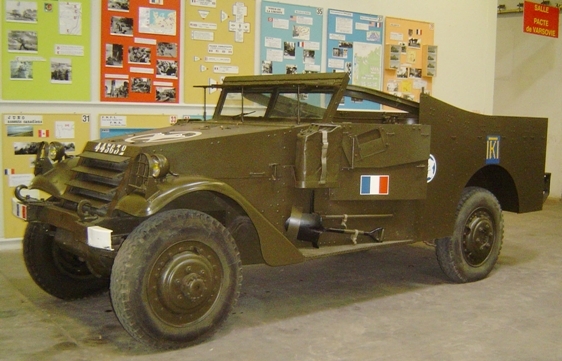 M3A1 Scout Car Decals “Forces Francaises Libres-France Italie 1943-1945” (35009) Histopic 1/35 Decals. M3A1 Scout Car Paquetages (French Stowage) (KMT35062K) KMT 1/35 Resin; For the Tamiya Kit. M3A1 Scout Car Road Wheels with chains (RE35-136) Panzer Art 1/35 Resin. M3A1 Scout Car Detail Set (P35-143) Passion Models 1/35 Photo Etched Brass; For the Tamiya Kit. 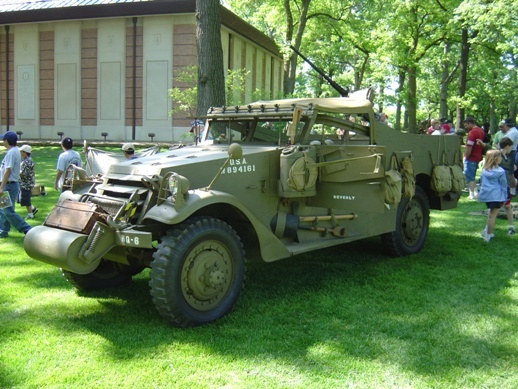 Decals; Includes Markings for the M3A1 Scout Car. 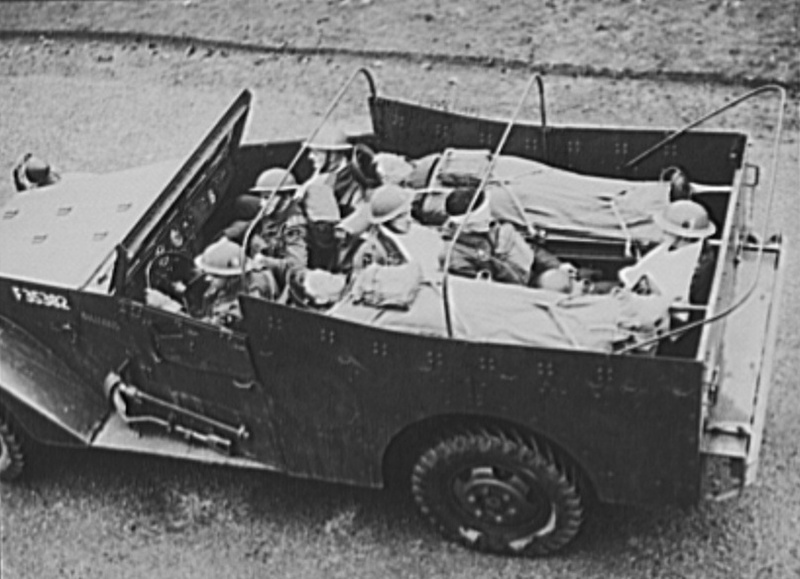 Decals; Includes Markings for the Staghound Mark 1 Armored Car and Humber and M3A1 Scout Cars. 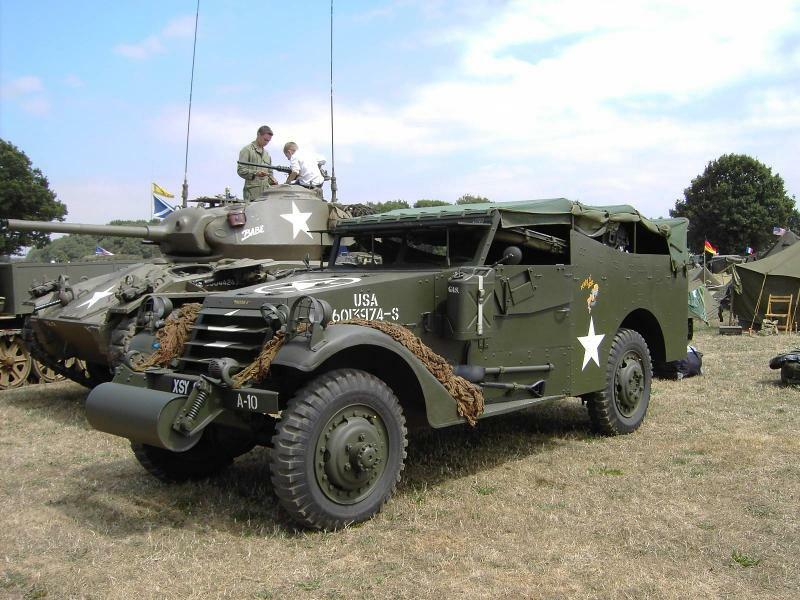 Decals; Includes Markings for the M3A1 Scout Car, Staghound Mark 1 Armored Car & Dingo Mark 2 Scout Cars. "Congo Crisis #1" Decal Sheet (35-984) Star Decals 1/35 Decals; Includes Marking for Swedish UN M8 Armored Cars & M3A1 Scout Cars). "Armoured Cars in Polish Service -Vol.1: Egypt 1942 - Italy 1945" (35D36) Toro Model 1/35 Decal Set; Includes Markings for the AEC Dorchester ACV, C15TA Armored Truck, Otter LRC, M3A1 Scout Car & Marmon Herrington Mark 2 Armored Car.